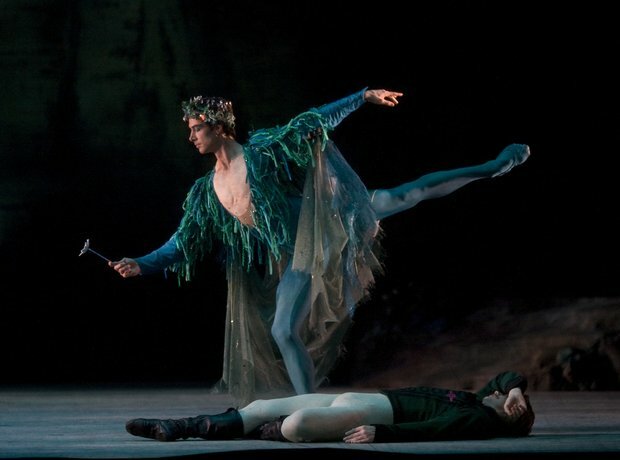 Frederick Ashton's The Dream is an adaptation of Shakespeare's Midsummer Night's Dream. The Grand Tour takes us back to the 1920s as our heroine joins Noël Coward, Gertrude Stein and George Bernard Shaw on a transatlantic journey to Europe. But these famous faces aren't necessarily the friendliest of shipmates. Add stowaways and a rather handsome Chief Steward into the mix and things might get a little... complicated. Choreographer American Joe Layton's The Grand Tour is a funny take on the eccentric celebrities that populated England's stages, screens and newspapers in the 1920s. Accompanied by unique orchestral renditions of Noël Coward songs, The Grand Tour makes a long-overdue return to the stage. With an evocative score by Paul Reade and choreography David Bintley, Far From The Madding Crowd, an adaption of Thomas Hardy's novel, is a story of lust, deceit and murder. At the centre of the story is Bathsheba Everdene whose beauty enchants three men - but only one can claim her as his own. Their love for Bathsheba Everdene will change the three men's lives for ever.